Hashimoto’s is an autoimmune disease that affects the thyroid gland. The disease consists in the development of a chronic inflammatory process that destroys the tissue of the thyroid gland. Hashimoto’s disease can destroy up to 80% of the thyroid tissue. The thyroid gland is responsible for the protein, carbohydrate, and lipid metabolism in the human body, and hence to a significant part of the processes in the body. Hashimoto’s affects predominantly middle-aged women but can also occur in men and women of all ages. It can also affect children. Many people who suffer from Hashimoto’s have no notable symptoms. As the disease progresses, the symptoms that begin to appear are similar to hypothyroidism because the antibodies’ attack on the gland causes it to produce less hormones. Symptoms of Hashimoto’s disease include fatigue, increased cold sensitivity, pale and dry skin, hoarseness and swollen face, pain, stiffness or swelling of the joints, constipation, depression, memory problems, visible enlargement or swelling of the thyroid gland, increased blood cholesterol. Blood test of the hormone levels – to indicate whether the thyroid gland works properly. The treatment of Hashimoto’s includes thyroid hormone therapy. Reverse development is possible, but in most cases, there is atrophy of the gland and sustained hypothyroidism, as well as a need for life-long replacement therapy. Considering the autoimmune nature of the disease, attempts have been made to treat it with corticosteroids and other immunosuppressants, but the desired effect has not been achieved. Hypothyroidism is an abnormally low thyroid function resulting in insufficient levels of thyroid hormones in the body. This affects the normal course of a number of processes in the body, the metabolism, and general health. Hypothyroidism significantly affects the metabolism of fat and carbohydrates and the ability of the body to regulate the temperature, pulse, and the formation of proteins. Hypothyroidism occurs predominantly in women over 40 years of age. The incidence of the disease significantly increases with age. Symptoms of hypothyroidism vary widely, depending on how severe the hormone deficiency is. At the onset of the disease, the symptoms are barely noticeable and are expressed only in mild fatigue and mental retardation. As the disease progresses, the symptoms become more severe. Fatigue is becoming chronic, skin diseases such as eczema and acne occur. Other symptoms of hypothyroidism are increased cold sensitivity, constipation, puffy face, hoarse voice, pale and dry skin, high levels of cholesterol in the blood, increased weight, muscle pain, stiffness in the hip joints and shoulders, muscle weakness in the legs, depression, etc. Some women get thyroid problems during or after pregnancy. Diagnosis of the disease is based mostly on the symptoms of the patient and his/her age. 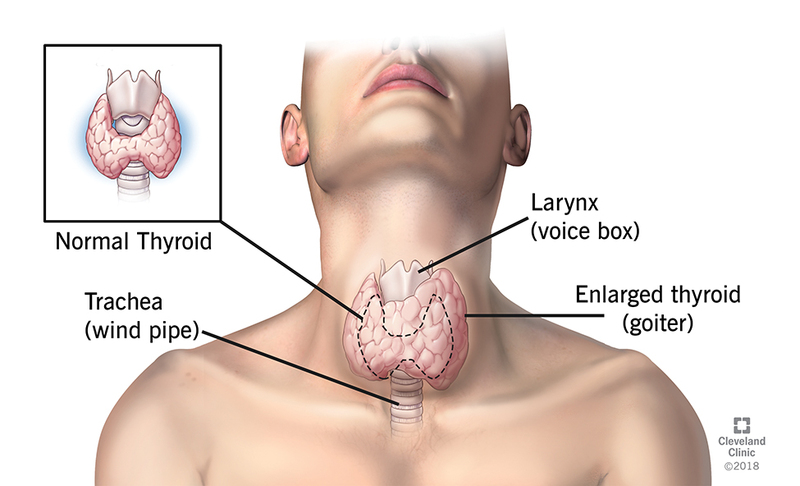 The levels of thyroid stimulating hormone and thyroid hormone thyroxine in the blood are measured. Low levels of thyroxine and high levels of thyroid stimulating hormone indicate decreased thyroid function. Hypothyroidism is treated with thyroid hormones. When properly treated, the symptoms are fully overcome. Hormone replacement therapy is applied for life. The dose is determined according to the needs of each particular patient. Hashimoto’s: Hashimoto’s is an autoimmune disease that affects the thyroid gland. It consists in the development of a chronic inflammatory process that destroys the tissue of the gland. Hypothyroidism: Hypothyroidism is an abnormally low thyroid function resulting in insufficient levels of thyroid hormones in the body. Hashimoto’s: Hashimoto’s affects predominantly middle-aged women but can also occur in men and women of all ages. It can also affect children. Hypothyroidism: Hypothyroidism occurs predominantly in women over 40 years of age. The incidence of the disease significantly increases with age. Hashimoto’s: Symptoms of Hashimoto’s include fatigue, increased cold sensitivity, pale and dry skin, hoarseness and swollen face, pain, stiffness or swelling of the joints, constipation, depression, memory problems, visible enlargement or swelling of the thyroid gland, increased blood cholesterol. Hypothyroidism: Symptoms of hypothyroidism include fatigue, skin diseases such as eczema and acne, increased cold sensitivity, constipation, puffy face, hoarse voice, pale and dry skin, high levels of cholesterol in the blood, increased weight, muscle pain, stiffness in the hip joints and shoulders, muscle weakness in the legs, depression, etc. Hashimoto’s: The causes of Hashimoto’s include a genetic defect, radiotherapy for treatment of another illness, stress. Hypothyroidism: The causes of hypothyroidism include autoimmune diseases (e.g. Hashimoto’s), operative treatment of the thyroid gland, radiation therapy, treatment with radioactive iodine, iodine deficiency, etc. Hashimoto’s is an autoimmune disease that affects the thyroid gland. It consists in the development of a chronic inflammatory process that destroys the tissue of the gland. Hypothyroidism is an abnormally low thyroid function resulting in insufficient levels of thyroid hormones in the body. Hashimoto’s affects predominantly middle-aged women but can also occur in men and women of all ages. It can also affect children. Hypothyroidism occurs predominantly in women over 40 years of age. Its incidence increases with age. Symptoms of Hashimoto’s include fatigue, increased cold sensitivity, pale and dry skin, hoarseness and swollen face, pain, stiffness or swelling of the joints, constipation, depression, memory problems, visible enlargement or swelling of the thyroid gland, increased blood cholesterol. 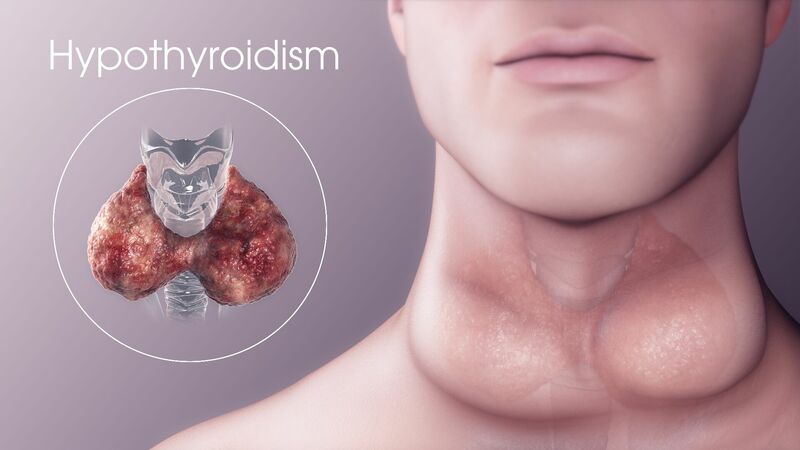 Symptoms of hypothyroidism include fatigue, skin diseases such as eczema and acne, increased cold sensitivity, constipation, puffy face, hoarse voice, pale and dry skin, high levels of cholesterol in the blood, increased weight, muscle pain, stiffness in the hip joints and shoulders, muscle weakness in the legs, depression, etc. The causes of Hashimoto’s include a genetic defect, radiotherapy for treatment of another illness, stress. The causes of hypothyroidism include autoimmune diseases (e.g. Hashimoto’s), operative treatment of the thyroid gland, radiation therapy, treatment with radioactive iodine, iodine deficiency, etc. Dr. Mariam Bozhilova Forest Research Institute, BAS. "Difference Between Hashimoto’s and Hypothyroidism." DifferenceBetween.net. January 10, 2019 < http://www.differencebetween.net/science/health/difference-between-hashimotos-and-hypothyroidism/ >. Barnes, B., L. Galton. Hypothyroidism. The Unsuspected Illness. New York: Harper Collins Publishers. 1990. Print. Konshin, V. Beating Hashimoto’s: A Sufferer's Guide to Living Pain Free. New York: Ayerware Publishing. 2009. Print. Wentz, I., M. Nowosadzka. Hashimoto’s Thyroiditis: Lifestyle Interventions for Finding and Treating the Root Cause. New York: Harper Collins Publishers. 2018. Print.